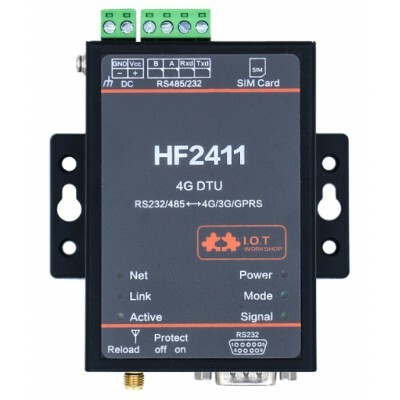 The HF2411 support LTE-TDD, LTE-FDD, WCDMA, TD-SCDMA, GPRS full network. 4G network support maximum download data rate 150Mbps, upload data rate 50Mbps. 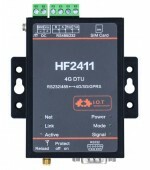 The HF2411 support TCPIP protocol, with its RS232/RS485 interface, it make traditional UART device easy connecting to IOT. ² Supports Registration Packet, Heartbeat Packet Function, and Packet Supports Combination of ICCID, IMEI, IMSI, Software Version, GPRS Connection Status.